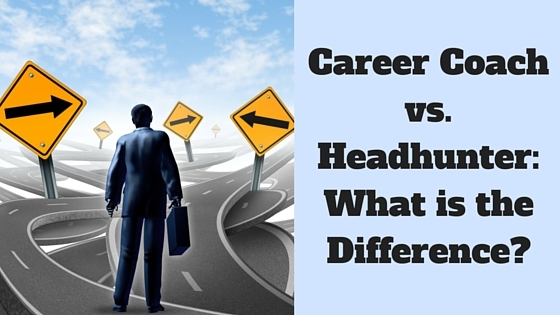 » Career Coach vs Headhunter: What is the Difference? Along the curious road of a job search, job seekers inevitably encounter the opportunity to collaborate with career coaches as well as headhunters, also known as recruiters. With 15+ years in executive search (recruiting/headhunting) and more recently 4+ years intensively working as an executive and career coach – I have a perspective to share. So, let’s dive in. An advocate for you. They work for you and advise you based on their skills and experience about what is in YOUR best interest. They help you get ‘unstuck.’ Using active listening, structured goal setting and unyielding encouragement and support, a coach will help you overcome the hurdles that are in your way. In each coaching call, you’ll identify 2-3 objectives for the following week so you’ll continually see progress. Paid for by you or possibly by an employer (or former employer in the case of an outplacement). Experts in career development or career transition and knowledgeable of cutting edge techniques and support to either help you improve your performance with your current employer or help you plan how to make a transition. Whether you’re looking for a new job or striking out with a business of your own, a coach will help you strategize and execute on your plan. Full of great resources. They have tools or assessments which will help you gain clarity about your behavioral style, occupational interests and cultural fit to get an objective perspective. They help you gain focus. Candid in sharing their observations about what they learn about you. You benefit from their ‘extra set of sharp eyes’ or ‘sharp ears’ assessing situations and experiences. A career coach will also be straightforward and honest. Since coaching is grounded in inquiry, your coach will ask tough questions to get you to the heart of an issue. Planners who help you establish a timeline for assessment, review and development of a strategy. They then help you with execution – guiding you along the path you’ve developed. They become an unyielding champion for your success. Not going to do the work for you, but will guide you to resources and provide direction to keep you moving and on target. If you have trouble saying “No,” a coach can help you set boundaries and have more control over your life. In your corner to help you to be inspired to live a more passionate, fulfilling life. Find many experienced Career Coaches here on Noomii. Work to fill job openings for businesses or organizations. Work from resumes, LinkedIn profiles or by actively soliciting individuals qualified for positions. Review a candidate’s career history, job experiences. Match talent with their clients, interview every step of the way, negotiate salaries, and place candidates in agreeable employment positions. Receive a fee from employers for recruiting suitable candidates. Internal headhunters (also known as “in-house”) – work exclusively for one employer representing that company’s openings. External headhunters (also known as “talent acquisition specialists, agencies, independent recruiters, headhunters, or search consultants depending on how they work and how they are paid) – have multiple employers as clients. They may specialize by industries (medical, engineering, biotech, academia….) or functions (HR, sales, business development, marketing, administrative assistants, etc) served – or some combination of both. Sourcers, who are research specialists, research, identify and initially screen possible talent and then refer them to the recruiter. Sourcing specialists may be independent contractors (work for themselves) or may be employed by recruiting departments or firms. Headhunters, no matter how friendly, do not work for you as a job seeker. They work for the employer who pays them. Many will go out of their way to help you if they can and are good sources of feedback. Do not expect them to do your job hunting for you. That’s your job. It is always helpful to ask a headhunter about who employs them and how they are affiliated with the opportunity they are sharing with you. What’s most important to you as a job seeker is that you know if you are talking with someone about a temporary or permanent position and what is the next step in their process. You can learn more about executive search firms at the Association of Executive Search and Leadership Consultants (AESC). find search firms at the Online Recruiters Directory and find jobs at Recruiter.com. The percentages vary depending on the reporting source, but the expense of a mis-hire can cost an employer between three and 27 times the base salary of the bad hire. The recent recession has resulted in a continuing hiring practice. Many employers shift the risk of a ‘bad hire’ by 1) hiring from within, 2) having a robust employee referral program and preference is given to hiring from that pool of talent, or 3) relying on staffing agencies to provide temporary employees so they ‘get to know someone better’ over a period of time before they make them a permanent hire. Working with a career coach, you get to know yourself and your preferences better in the world of work. You learn about career options and chart a direction to head. Part of the strategy for getting new work should include collaborating with headhunters. Connecting with headhunters is an important component of a multi-part plan to get you where you want to land in your career. They help you optimize your job search by leveraging the resources of a career coach as an extra set of sharp eyes and a guide. Reach hiring authorities they might not be able to get in front of on their own. To benefit from the experience and wisdom of respected recruiting professionals who are talking daily with hiring authorities and with candidates about what’s happening in the market. I guide my clients to identify three to five headhunters/recruiting firms to create a relationship with – those they can contact routinely as part of their transition plan. However, to be fully supported in your career evaluation endeavour execute your search strategy under the guidance and with the support of a solid career coach by your side. You’ll be glad you did. 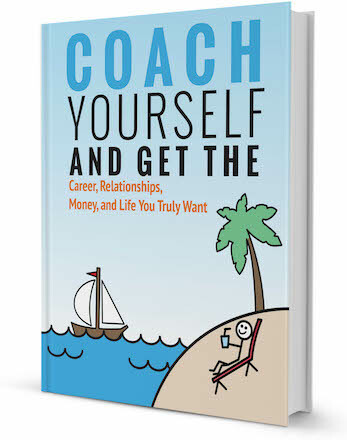 Thinking of hiring a career coach to help you land your dream job? Connect with Lynden, browse our directory of career coaches and get a FREE consultation or request a personalized coach recommendation! 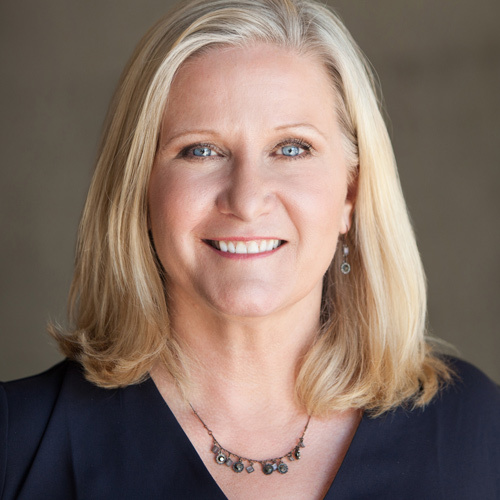 Lynden Kidd is the CEO and Chief Career Strategist with Captivating Careers. 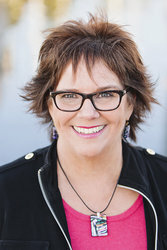 A successful and sought after executive coach, trainer, author, and speaker, she is a hiring process expert. As an accomplished career consultant, Lynden has interviewed thousands of job seekers, led more than 300 career development training sessions serving 500+ job seekers resulting in employment and enhanced job performance for hundreds of professionals.